Late last year, the U.S. District Court for the Eastern District of Texas granted an emergency injunction request, halting implementation of the Department of Labor’s new overtime rule. The new overtime rule, which was finalized under the Obama Administration, would raise the threshold for the salary test. Employers would be required to pay overtime to anyone earning less than $913 per week ($47,476 annually) beginning December 1, 2016. The Department of Labor appealed the District Court’s decision, but later requested and was granted three extensions to file a reply brief to the order. The deadline to file a reply brief was Friday, June 30, 2017. In the reply brief filed on June 30, 2017, the Department of Labor argued that the increase proposed under the Obama Administration would be too drastic a change for employers. Nevertheless, the Department of Labor, as argued in its reply brief, believes that some salary threshold may be effective in classifying exempt and nonexempt employees. Therefore, it appears from the reply brief that the Department of Labor, headed by newly appointed Secretary of Labor Alexander Acosta, has decided not to defend the Obama-era overtime rule and will instead pursue other avenues. Until there is further action from the Department of Labor, the minimum salary threshold of $455 per week, which has been in place since 2004, will remain in effect. A few days before filing its reply brief, the Department of Labor submitted a Request for Information regarding the overtime rule to the Office of Information and Regulatory Affairs for its review. The content of the Request for Information has not been released. 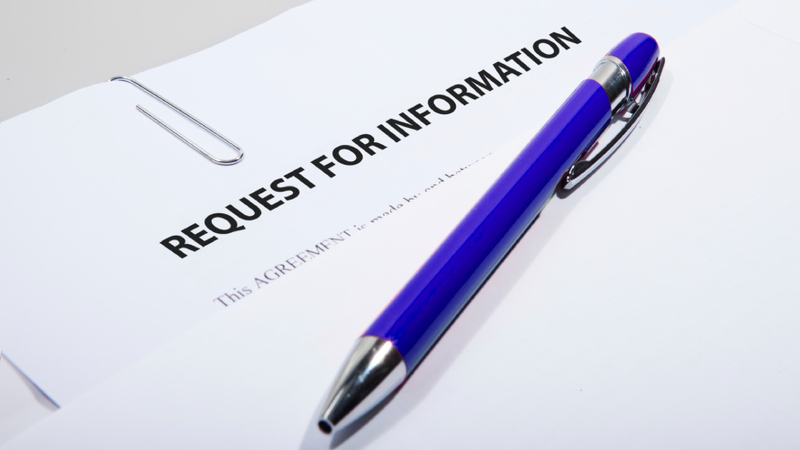 A Request for Information is an optional step sometimes used by government agencies when drafting rules in order to obtain public input on whether a new rule or changes to an existing rule are warranted. In this instance, the Request for Information begins a new rulemaking process regarding overtime and the salary threshold. The Department of Labor will likely receive comments on the costs and difficulties for employers to implement large salary threshold increases, the effect on those employers who actually implemented the $913 per week threshold in anticipation of the final rule, how the impact of a high salary threshold varies in different geographic areas around the country, and how some industries are hit much harder than others. Nevada Association of Employers will continue to monitor the progress of the Department of Labor’s Request for Information and any proposed changes to the overtime rule. To ensure you stay up-to-date on the latest developments, join our mailing list.